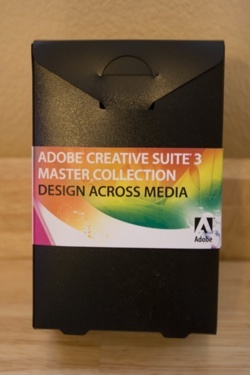 So as everyone already knows Adobe launched a shed load of new products on Tuesday all packaged up in various suites to suit specific professional requirements. On this premise I got a box and an invite to the London launch party. So here is a brief review of how the party went. The venue was Floridita on Wardour street in Soho, nice place, Cuban theme pretty large open sub-level venue. Lots of drinks going around, but I’ll come back to that in a bit. I headed up from my place in Surrey to London and met up with long time friend John Davey (Founder of Flash on the Beach) at the Crown and Two Chairmen on Dean street, also in Soho, for a couple of pre-party beers and a catch up. We both then headed off to the party and bumped into another long standing friend and colleague of mine, Marc Peter from on-IDLE. We all headed in and were greeted by waiters with trays of Mojito’s (and lots of them) :D. So we grabbed a couple each and started to get into the party groove. The stage area, on one side of the room, had three large screens set up for a presentation and over in the far corner there were demo screens with Adobe personnel showing off CS3 products and workflows. the presentations were good, but unfortunately we didn’t get to see the NY webcast as there didn’t appear to be an net connectivity at the venue (a shame but not a show stopper). The product line up looks great and if you want to catch the NY webcast you can watch it below. As we were all leaving we were in for a little surprise. On the way out we were all given a small plastic box,( about A6 size if you know English paper sizes), with a CS3 Master suite ‘wrapper’ around it. On opening the package I discovered a set of three Moleskine notebooks. Each was wrapped with the design for the suites that make up the Master collection – Web Premium, Design Premium and Prodction Premium.